Are you looking for a travel agent job? 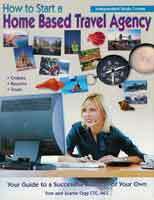 Check out, Get Travel Agent Jobs. Tom Ogg has great books and resources available at his website. Check out this book! When I first started in the travel business I began educating myself using Kelly Monaghan's Home Based Travel Agent Success Course. 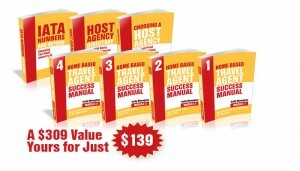 This course gave me all the basics of starting my own home based travel business, and it served as a great reference for the daily operation of my business. I strongly encourage you to sign up for Kelly's course If you are interested in becoming a travel professional, The cost is surprisingly low for all you receive. You can learn more by following the link below. And, if you sign up for the course it helps the Home Based Travel Agent Show to continue bringing you great information about the travel trade.